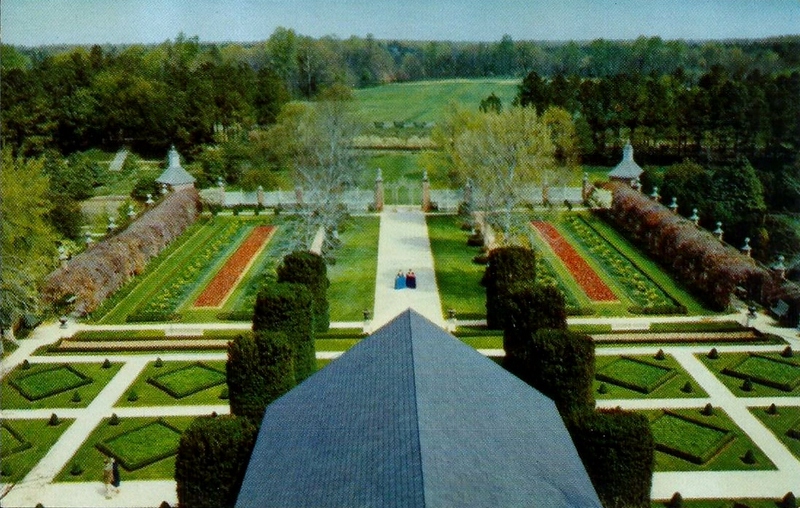 the garden beyond the Ballroom of the Governor's Palace typifies the formality of English design. 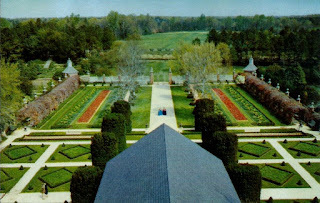 Here are found elaborate geometrical parterres, framed with clipped hedges and accented with topiary work. Standing watch over the garden are twelve massive box trees, the "twelve apostles" often found on English estates of the period. Open daily. 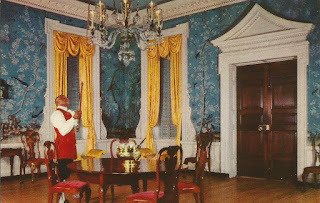 Lighting the candles in the Supper Room of the Governor's Palace where eighteenth century guest refreshed themselves after an evening of dancing in the Ballroom. 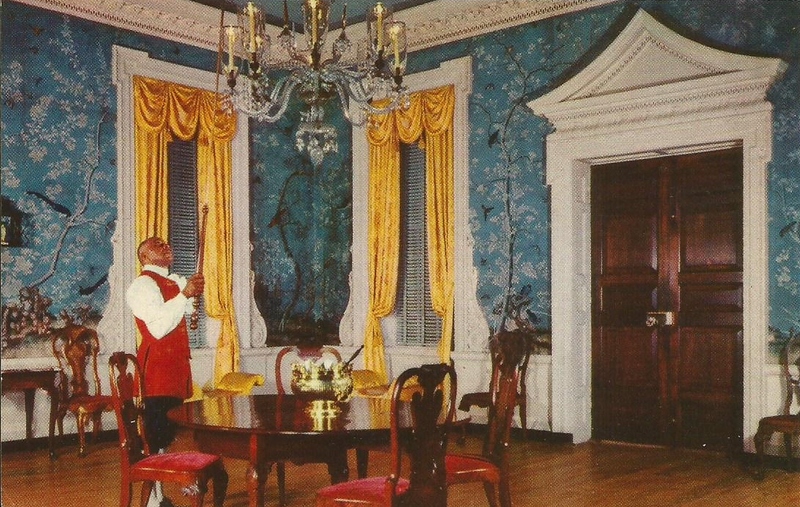 The Chinese hand-painted rice paper on the wall, and the pagoda-like form over the door show how China and India influence the taste of the day. Open daily. 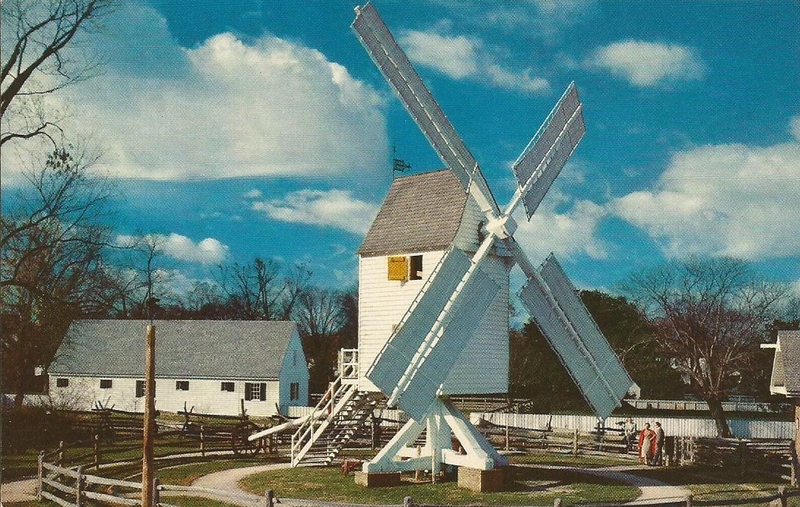 This windmill is known as a post mill because the whole superstructure revolves around a single huge post of timber. 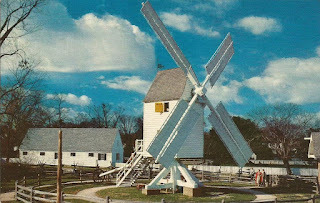 Today an operating Craft Shop open to the public, Robertson's Windmill once again offers to its patrons the finest meal ground in Virginia.